Private farm where you can celebrate your birthday, family reunion, business, training courses, weekend retreats. Families that want to know Madrid without the pressures of the city and its hotel offer. Groups looking for a more relaxed and free vacation. We have the necessary to make your stay a success. Abundant outdoor furniture and a large living room with capacity for 30 people. Minimum accommodation of 12h, we adapt to your needs and we help you organize your event or we give you the space to personalize it your way. Privileged enclave where to combine a night under the starry vault after a day among a varied offer of trends in the capital. La casa esta genial! Ojalá volver en verano. 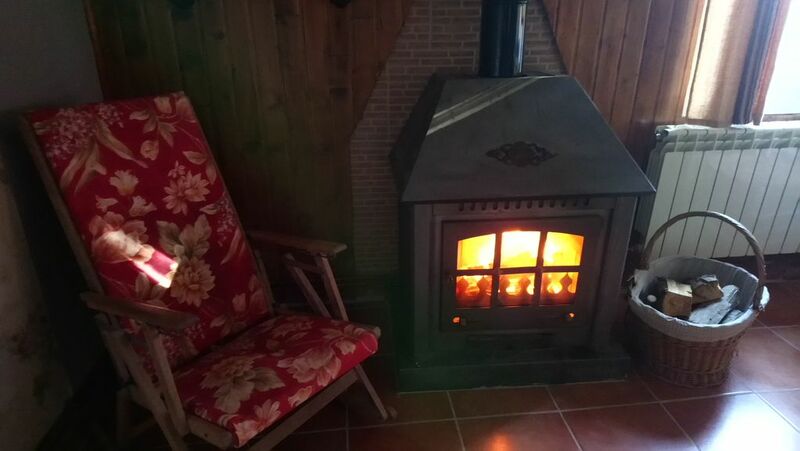 Hemos tenido una estancia muy agradable, la casa es genial y Fina fué super amable. Esperamos poder repetir y esta vez en verano! Muchas gracias Sonia por tus palabras, para nosotros también habéis sido un grupo genial, limpios, respetuosos, educados, agradables y muy afables. If you decide for our farm you will knot modernism, progress and urbanity with the authentic, the healthy and the pleasant of the rural life. Always calm and full.